You are here: Home / Shop / Water kettle 1 ltr. This is a White Hotel Room kettle, with a 1 litre capacity and smart, space-saving design. With so much water wasted in kettles, this light, economical model gives hotels and guestrooms a chance to recover the price of energy bills and save water at the same time. 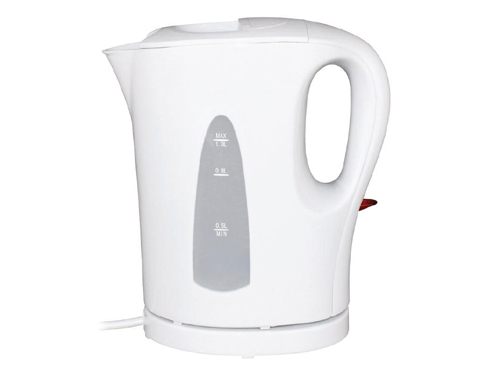 Due to its handy size, the kettle can be stowed away conveniently when not in use and prevents guests from over-filling, which is a large reason for wasted energy in the hospitality industry.